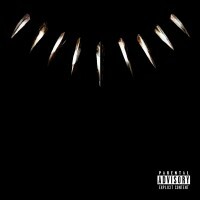 The LP release of the Kendrick Lamar curated Ost to Marvels Black Panther Film. Lamar and Tiffith are collaborating for the first time to create a musical body of work for a motion picture. The album also includes the charting singles “Pray For Me” by The Weekend and Kendrick Lamar, and “King’s Dead” from Jay Rock, Future, Lamar, and James Blake, as well as features from ScHoolboy Q, Travis Scott, Swae Lee and Khalid among others. Lamar is regarded as one of the most important, critically acclaimed and creatively inventive the world over, and this album further establishes he and Tiffith as forces not only in music, but in film. Millie says: I had the near impossible task of selecting which songs to attach to this record, but it includes two Kendrick ones of course. This album is fierce and dominant, a showcase of some of the best hip hop ever to grace a soundtrack.